Here’s a crazy good deal on the Augvape Druga 22 BF Kit. Eightvape just dropped the price down to only $15.99. That’s a mechanical squonker AND a matching RDA for 16 bucks! The Druga 22mm RDA is worth that price alone. No, it’s not the best squonker on the market…but it could be a good option if you’re just looking for a backup/beater setup. 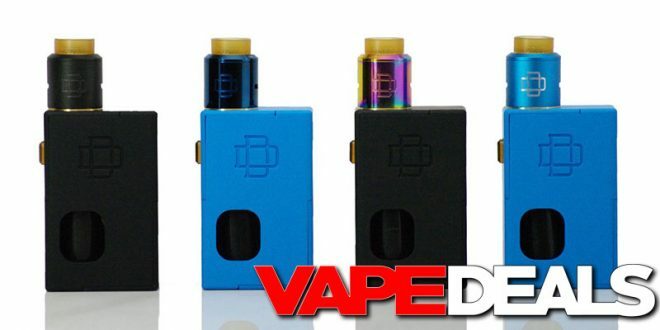 The Augvape Druga 22 BF Kit is available in 3 color combinations: black/gunmetal, blue, and black/blue. This may only be a limited-time offer, so stop by soon if you’re interested.